0.4g (approx. 200 Seeds). Perennial herb plant. The stems are erect, 90-120 cm (3 - 4 ft.), simple, or putting out only a few lateral branches. The flowers are in bloom during August and September, and are followed, as in other species of this order, by the flat, round fruit which are popularly called cheeses. These are very drought tolerant plants, but they should be watered regularly for the best results. Double Layer Blue Butterfly Pea. The seeds of the Butterfly Pea should be nicked or filed, then soaked overnight in room temperature water before planting. 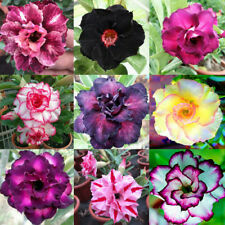 Adenium obesum, also known as the desert rose, is a multi-trunked shrub-like tree with a large, wide base. Native to the semi-arid regions of Southwest Africa and the Arabian Peninsula, the Adenium obesum blooms with trumpet-shaped, pink and white flowers and has long, glossy, green leaves. 0.3g (approx. 100 Seeds). Annual flowering plant, grows in spreading bushes, 20-25 cm (8-10 in.) height. Beautiful brown red flowers, diameter 4-6 cm (1.5-2.5 in.) with wide yellow stripes. Blooms from June until frost. Use for flower beds, containers and garden vases. Sugar Cane Seeds. 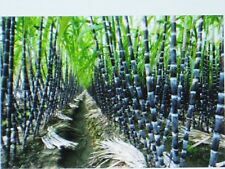 Sugar cane has stout, jointed, fibrous stalks that are rich in sugar. Canes can reach 6 to 18 feet. Fruit Has a rich content of vitamin C, Fibre, is linked to potential health protection against several human diseases. You are buying 25 seeds. 5g (approx. 3000 Seeds). Late variety (40-45 days). Rosette of leaves large, height 20-40cm. Intensely green leaves with a bluish tint, juicy and fragrant. Duration of green harvest 14-20 days. Recommended fresh, for freezing and drying. 1g (approx. 40 Seeds). Annual shrub, grows up to 60 cm (25 in.). Oval, light green leaves with wide, white stripes on the edges. Likes sunny or partial shady places. 5g (approx. 2000 Seeds). Mid season, high yielding variety. Intense green with large leaves and a strong aroma. Resistant to diseases. Use fresh and frozen. 0.2g (approx. 60 Seeds). Original mixture of bright blossoms, blooming profusely and continuously. Ornamental plant. Beautiful dried flowers, long-lasting color in attractive winter bouquets. Heat and light-demanding, drought-resistant. Sown in April, planted in the ground in May. 1g (approx. 3000 Seeds). Mid-season variety (100-120 days). Petioles are green, thick, fleshy, height 40-70 cm. The leaves are aromatic, dark green, delicate taste. Petioles do not require bleaching. Used for fresh consumption, in salads, sauces, and as a flavoring in dried form. 3g (approx. 80 Seeds). Annual plant with thick, strong stems, height 150-200cm. Inflorescence-baskets large diameter 15-20cm with petals intense red color and black core. Sunflowers are used in group plantings when decorating walls and fences, cut florets look great in bouquets. 2g (approx. 1000 Seeds). Annual Plant which emits a pleasant scent in the evening and through the night. It has four-petaled purple to white flowers, which are approximately 1 to 2 cm wide. The plant is low-growing and highly branced in form, growing to about 40 cm in length. During the heat of the day, the flowers appear wilted. SEEDS – Dwarf Sea Buckthorn “Amber Dawn” Compact Hardy Shrub For Colder Climate! 0.5g (approx. 30 Seeds). Annual winding climbing flowering plant, grows up to 2-3 m (80-120 in.). Star-shaped, red flowers, diameter 2-3cm (1 in.). Blooms from July until frost. Use for balconies, gazebos and terraces. 0.5g (approx. 800 Seeds). Annual flowering plant with strong, little branched stems, height 50-80 cm (20-30 in.). Oblong-oval, large, burgundy and red leaves. Use for ornamental design of walls and fences, flower beds, single and group plantings. 1g (approx. 2000 Seeds). Early variety (130-150 days). Thick, grayish-white root, weight 300g (11 oz.). White, tender and flavorful flesh with a high vitamin content. Use fresh and dried. 1g (approx. 200 Seeds). Mid-early (100-110 days) variety. Dense, medium size, white head, weight 500 - 700 g (17-25 oz. ), partly covered by leaves. Excellent taste, suitable for freezing and resistant to all mayor diseases. 5g (approx. 40 Seeds). Mid-season (90-110 days) Ukrainian heirloom variety. Cylindrical-oval, orange pumpkins, weight 6-9kg (13-20 lbs.) with a pink tinge. Very delicious, thick, crisp, juicy, red-orange flesh. 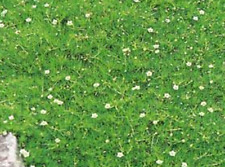 Resistant to powdery mildew. Use for cooking. 0.3g (approx. 80 Seeds). Annual flowering plant grows 30-50cm (12-20in.) tall. Beautiful, single or double, red flowers. Blooms from late June to August. Cold and drought resistant, does not like transplanting. 0.5g (approx. 1000 Seeds). Early variety (130-150 days). Round, gray-white roots, diameter 4-8 cm (1.5 - 3 in. ), weight 100-200g (3.5-7 oz.). White, fragrant flesh with an excellent taste. Good for long term storing. 0.2g (approx. 400 Seeds). Perennial flowering plant, grows in compact bushes, 10-15 cm (4-6 in.) high. 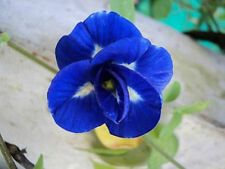 Small, purple-blue flowers, diameter 2 cm (0.8 in.). Blooms from may until fall in the second year. 0.2g (approx. 140 Seeds). Annual flowering plant with erect stems grows up to 50-60 cm (20-24 in.) high. Large, dense, bushy inflorescence of yellow double flowers. Likes open, sunny areas and blooms from July to October. Use for flower beds, borders, balconies and cuttings. 0.4g (approx. 300 Seeds). Early variety (95-105 days). Grows with creeping stems, length 50-70 cm (20-28 in.). Small, yellow-orange, round berries, weight 5-10g (0.1 - 0.3 oz.) with a sweet strawberry flavor. 2g (approx. 10 Seeds). Annual climbing plant. Forms 1.5-2m (60-90 in.) long, light green, cylindrical fruits, weight 3-7 kg (7-15 lbs.). Fruits have the ability to regenerate if cut off a part of it. 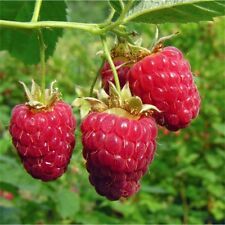 Young fruits up to 50 cm (20 in.) are edible. Use them like a squash, fried, stewed, stuffed or pickled. 0.5g (approx. 2000 Seeds). Annual plant. 20-50 cm (8 -20 in) in height with small leaves. Flowers small and white. Pick up during flowering, cutting off the shoots at a height of 5 - 6 cm (2 in) leaves, stems and seeds contain essential oil with a pleasant aroma and spicy taste. This is an excellent seasoning for meat and fish dishes, vegetable mixtures. Used in home cooking, fresh and dried as a spice. 10g (approx. 40 Seeds). Early (45-53 days), high yielding variety. Compact plant, height 50 - 60 cm (20-25 in) beans dark green, slightly curved, length 7 - 9 cm (3-4 in), containing 7 - 9 seeds. Peas dark green, tender, juicy with sweet taste. Variety resistant to disease with high taste. Use fresh and for canning. 0.2g (approx. 400 Seeds). Perennial. Fresh or dried leaves and flowers are used as a mint flavoring for salads, soups, vegetables, meat and fish dishes. Mint added to tea and pastries. Sow mint before winter or spring. 4g (approx. 30 Seeds). Mid-Season variety (118-127 days).Weight 9 -20 kg, thin, delicate, orange fruit. Resistant to disease. Very good transportable and can be stored up to 4 months. Recommended for cultivation in dry zones. 1g (approx. 200 Seeds). Perennial flowering plant, grows with erect stems, 90-100 cm (35-40 in.) height. Large, purple-pink flowers, diameter 10-12 cm (4-5 in.). Grows in one place 5-6 years. Blooms from July to September. 5g (approx. 1500 Seeds). Annual plant (25-35 days). Leaves and seeds have a spicy mustard flavor. Start sowing seeds in open ground in April, and repeat after 10-15 days until mid-August. Leaves can be harvest on a plant height of 15-20cm. The fresh leaves are used for salads and side dishes, the seeds are added to marinades. 2g (approx. 500 Seeds). Late variety (100-120 days). The fruit is large, round, 15-20 cm in diameter, white - green. The flesh is white, tender and juicy, good flavor. Growth up to 1,5-3 kg. Variety is characterized by high productivity, suitable for growing in the open ground. Used for fresh consumption, freezing and winter storage. 0.2g (approx. 100 Seeds). Mid-season. Growing period 100-115 days. The plant is stunted, growth up to 60-80cm. Fruits weight 30-50g, yellow color, with a high content of pectin. Variety is appreciated for good preservation of fruits. Use for jams, jellies and confectionery. 4g (approx. 10 Seeds). Mid-season (112-130 days) variety for universal use. Large, red-orange, dense, oval pumpkins, weight 18-30kg (40-66lbs.) with intensive care up to 70kg (150lbs.). Orange, tender pulp with a pleasant sweet taste Use fresh and for canning. 2g (approx. 50 Seeds). Annual climbing plant, growth up to 2-4 m (6.5-13 ft.). Large, trumpet shaped, light blue colored flowers with a dark blue star in center. Blooms from July until frost. Use for balconies, gazebos, terraces and hedges.